Storage services are something all of us use at some point in our lives. Whether we are moving to a better future, or simply need a safe space for our possessions, a storage unit can be of great help. But, how are you supposed to find and utilize the best storage facilities Columbus Ohio? 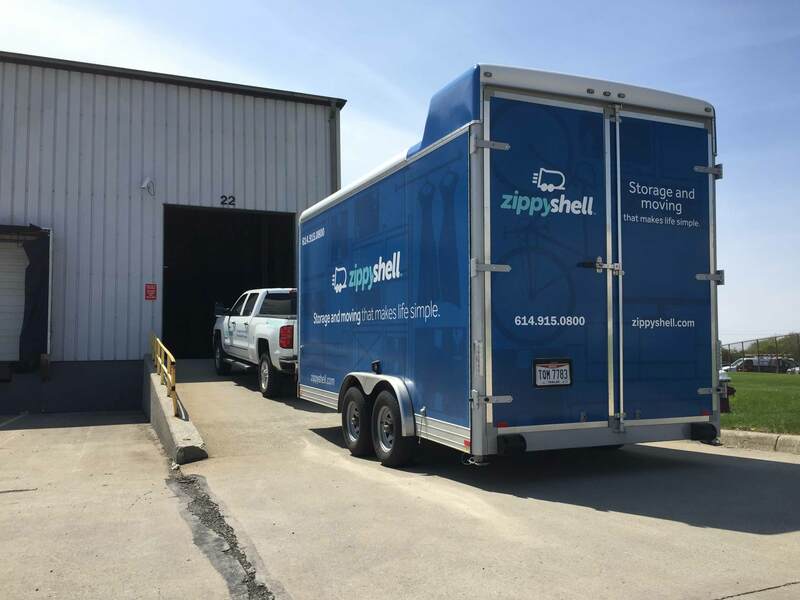 Well, with our wide array of storage services Columbus Ohio and a professional team managing them, you can be sure that if you need some extra space, we will be there for you. Storage shouldn’t and can’t be handled by just anyone. There are a lot of things that go into making sure that your possessions are treated with the care and respect that they deserve. We, as a top storage company Columbus Ohio, consider you possessions as extensions of your personal self. Therefore, our movers take the utmost care in making sure that they are safe and sound while staying in one of our storage facilities Columbus Ohio. Beside standard moving services Columbus Ohio, we are proud to offer you an array of different storage services. We believe that a single type of storage service cannot possibly handle all the different situations that find themselves in. The storage needs of someone who is trying to sell their home and organize an open house are considerably different from a student that wants to spend a semester abroad. While we can say that we are the best storage company in Columbus Ohio, we do not try to claim we are the cheapest. Nor do we think we should be, given the convenience our mobile storage offers. We believe that an honest day’s work deserves an honest day’s pay. Therefore, we do not sacrifice our quality of service for some quick buck. And our customers have certainly valued our price-to-service ratio ever since the founding of Zippy Shell Greater Columbus. Our storage team is made up of people who have years of experience in providing storage services. With their guidance, we have divided our storage facilities Columbus Ohio by the types of service that people most often look for. If you think that none of the options fit your particular situation, worry not. Our professional team will help you find the best storage solutions. Nothing is set in stone. We will find a way to help you utilize storage units in our facilities in the best way possible. Moving from/to Columbus is the most common reason for hiring a storage rental Columbus Ohio. But, they are not the only reasons. Whether you are clearing out your apartment or you are putting things away for safe-keeping, we will happily give you a hand as one of the best storage company Columbus Ohio has to offer. Our professional team will help you figure out a way to make the most out of our spacious storage units and help you store any possessions that you want to store. We will figure out a way for you to have the most convenient access to your residential storage unit. That way, you will easily be able to reach any property you decide to store away. Our professional team will help you figure out a way to make the most out of our spacious storage units. Personal storage plus mobility? Who offers that? Well, Zippy Shell Greater Columbus does. Our mobile storage units are at your disposal, whether for long term or short term storage. You can rest assured we will treat your possessions with utmost care and respect. 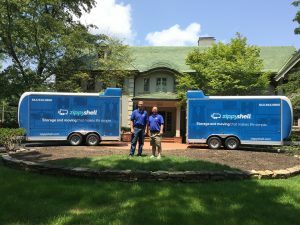 Be sure – all of your problems that require mobile pods Columbus Ohio will be solved. 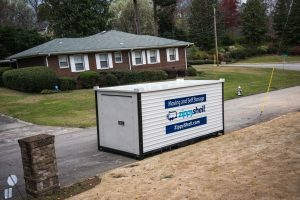 Our professional will help you figure out the type and size of a mobile storage unit that will best suit your needs. Office relocation can rarely be executed without the use of commercial storage. Our professional team with help you store all office supplies and property that you need to relocate. We will make sure that your office supplies remain untacked until you take them out of your storage. We also understand the stress and the speed at which effective office moving is done. Therefore, we will provide you with easy access to your commercial storage facility so that you can access it as quick as possible. We will make sure that your office supplies remain untacked until you take them out of your storage. Do you need a personal storage space to use at your convenience? Then we’ve got your back. 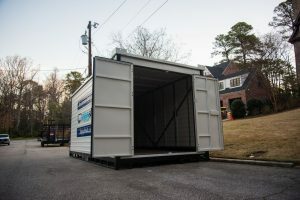 When looking for storage rental in Columbus Ohio, you want to find a storage company that offers you the safety and privacy needed for proper self-storage. And you can be sure that we understand and provide such storage services Columbus Ohio. All we need is that you obey the law and only use self-storage for storing and removing personal property. Besides that, you are free to use our storage facilities in Columbus Ohio for your personal needs. The people that help protect our country deserve our help. 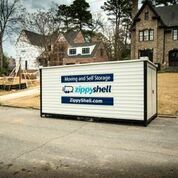 That is what we believe in Zippy Shell Columbus and we stand by our beliefs by offering military storage services for any member of the military or their immediate relative. We are proud to do our part in helping the good women and men that keep our country as safe as possible. That’s why we offer 10% off all storage and end-to-end moving services! By working with military people before, we are familiar with the stress and the unexpected changes that can happen to someone working for the military. Therefore, we will help you get the best storage containers in Columbus Ohio. That way, you won’t have to worry about your possessions while protecting our country. Not every storage is for a couple of days or weeks, and we certainly understand that. Some, like Christmas decorations, can be in storage for months, if not even years. Therefore, we offer long-term storage rental in Columbus Ohio for anyone looking to safely store their possessions for a prolonged period of time. Together, we will figure out a payment plan that works for you. Also, we will go over the things that you want to store, as not everything is suited for long-term storage. While a lot of things can remain intact during short term storage, time takes its toll. Therefore, in order to maintain your items in their pristine condition, we will go over the thing that we consider suitable and unsuitable for long-term storage. We offer long-term storage services Columbus Ohio for anyone looking to safely store their possessions for a prolonged period of time. Besides safety and care, some items simply get damaged due to weather changes. But, that doesn’t stop us from reliably storing them. Our climate controlled storage facilities Columbus Ohio are equipped to mitigate all the weather differences that may occur in Ohio. This is especially useful during long-term storage, as the difference between winter and summer can be quite devastating for fragile items. Our team will make sure that your possessions do not get damaged by weather changes. We can help you with the padding and wrapping of your items, and by providing you with reliable climate controlled storage facilities in Columbus, OH. We have our military to protect us, but who will make sure that our country prospers? Well, the good students that will one day become the leaders of our great country. Therefore, we offer special storage services called ‘Student Storage’. Whether you are moving into a small dorm or you want to spend a semester abroad, we will help you store all your less necessary possessions. 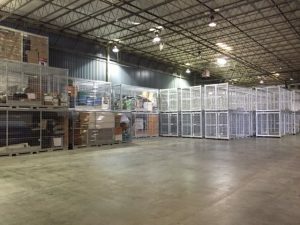 Talk to our representatives before you pick your bins storage Columbus Ohio, so we can together figure out the best plan of action for your storage. We will also give you valuable advice on what, in our experience, a student should get rid of when moving and what should get stored. Our team will make sure that your possessions do not get damaged during the move. Since we have considerable experience in storage services, we feel that we are competent to give you some useful advice. 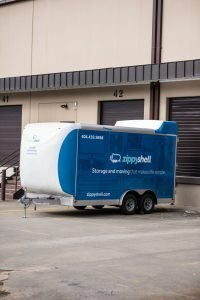 These will be the things that we witnessed over the years and that we feel everyone using storage units Columbus Ohio should know. Some of them are mistakes that end up hurting both us and the person renting the storage unit. Others are tips on using storage units Columbus Ohio 43204, and a financially sound way to deal with not so straightforward situations. All in all, you can be sure that these are honest pieces of advice aimed to make your experience of renting storage Columbus Ohio as successfully as possible. Perishables – By this, we consider anything that has an expiration date stamped on it. Any food that will rot after a certain amount of time doesn’t belong in a storage unit. We are very strict when it comes to this, as the rot from one storage unit can infect neighboring units as well. And the rot will attract vermin and rats which will further destroy the rest of the inventory. Living things – If something is alive, it doesn’t belong in storage. That includes plants, animals and any other living being. Not only will storage cause them to suffer, but the potential to attract pests and vermin is high. So, please, take care of all living things. Hazardous items – By hazardous items, we consider anything that can cause damage if not handled by trained professional. So, you should avoid any pesticide, poisons, weapons, fireworks or biological waste. We are not saying that these items cannot be stored. But such property requires specialized conditions and terms when you store them. This is why we usually judge them on a case-by-case basis, as they will most likely need special storage services Columbus Ohio. A list of all the stored items will be of great help. If you have it you will easily keep track of what’s in your storage unit, and not have to think about if you packed something or not. This will help you worry less about your possessions and give you a clearer input into where your possessions are. While it is certainly up to you to choose how well you will utilize our storage unit, we hate seeing you waste it. A lot of people do not use the complete storage capability of a unit simply because of improper packing and organization. Therefore, we would like you to take your time and follow our tips on how to pack your items properly. 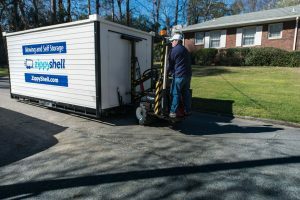 This will not only allow you to use your storage unit(s) properly, but it will make accessing packed items much easier. To do so make sure to properly label every box. Write with clearly visible makers and mention if anything is fragile or heavy. This will, also, help prevent any mishaps while handling your boxes. Our storage services Columbus Ohio include the use of the best moving and storage equipment and tools. This situation is most common among students, but certainly not exclusive to students. Sharing storage services can be a great idea, and we are certainly happy to accommodate you. But, we urge you to think carefully about who you are going to be sharing your storage containers with. We have experienced a lot of friendships ruined because of quarrels regarding payments and the divide of the unit’s space. You can be sure that we will do out part to make your storage unit as comfortable as possible. But, we implore you to carefully consider who you invite to share your storage facilities Columbus Ohio with. In our experience, sharing storage services is not for everyone.